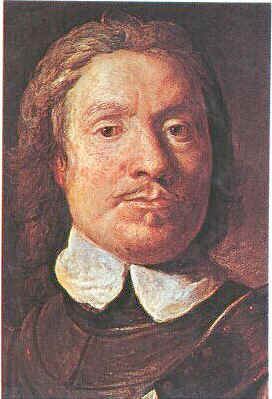 Oliver Cromwell was a man who made the Puritanism big in England in the 1600. He was a man from Cambridge and was an English military and a politician. He was the leader of the revolt against the monarchy. He was a clearly Puritan and thought that redemption was not anything you could deserve but for something you got from God by believing in Jesus Christ. He also thought that every Christian had the right to believe in the way that they wanted. He welcomed any kind of people when he was Lord Protector. He took his religion seriously and was against some churches like the Roman Catholic Church that he thought that they did not take Christianity seriously. He wanted to get rid of oppression and he himself ended up being an oppressor. I think that he really did not know how to say things because at first he says that every Christian has the right that believe how they wanted, but what I think he really meant was that it was all right to believe at Puritanism and that Puritanism was the way to believe in. That he himself becomes an oppressor show a bit of uncertainty, if he wanted to get rid of it oppression why did he ended up as an oppressor, shows that he is not a god leader. I think that it is up to each one of us to believe in what we want and that no one should force us to believe in things that we really do not believe in. That is why the society today is so great. Every individual has the right to believe in what they want and that is the thing that matters. But still in some parts of the world people are forced to do things that they do not want because of religion and some think that there religion is great. But the people who do not think that maybe they are suffering. Every people have the right to think that their opinion counts but that is not everyone that thinks it does and I think that is wrong. What do you think? If you want to know more about Oliver Cromwell here is a link.